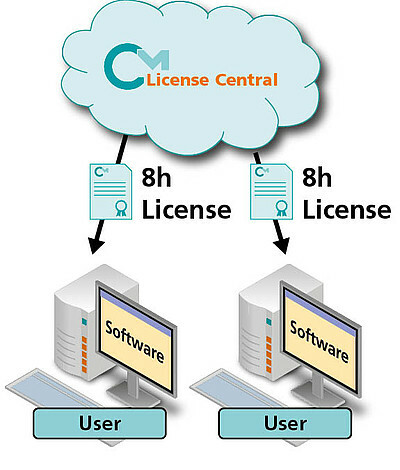 With CodeMeter License Central, Wibu-Systems offers a cloud solution for creating licenses right in the cloud. 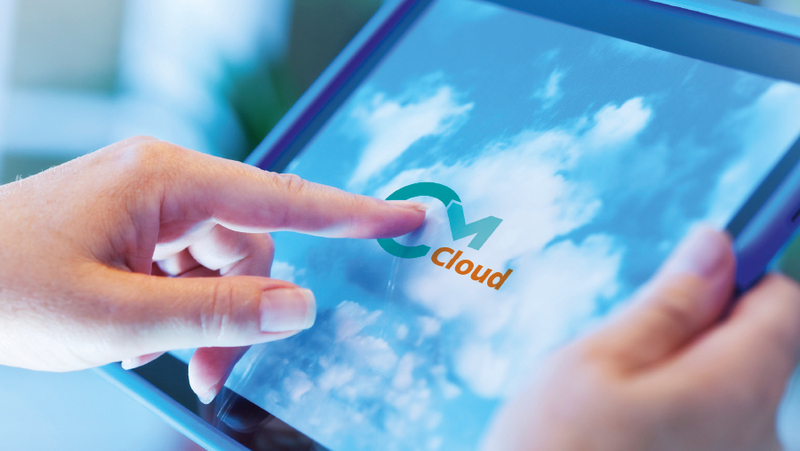 CmWAN gives you the option of operating a cloud-based license server for your users. Read the article to see how three cloud projects made effective use of CodeMeter License Central and CmWAN. The first project uses CodeMeter to protect sensitive digital documents. The documents in question are available as online versions in the cloud and as PDF files on the users’ local PCs. Depending on the type of license, the users can access only a defined part of the documents. 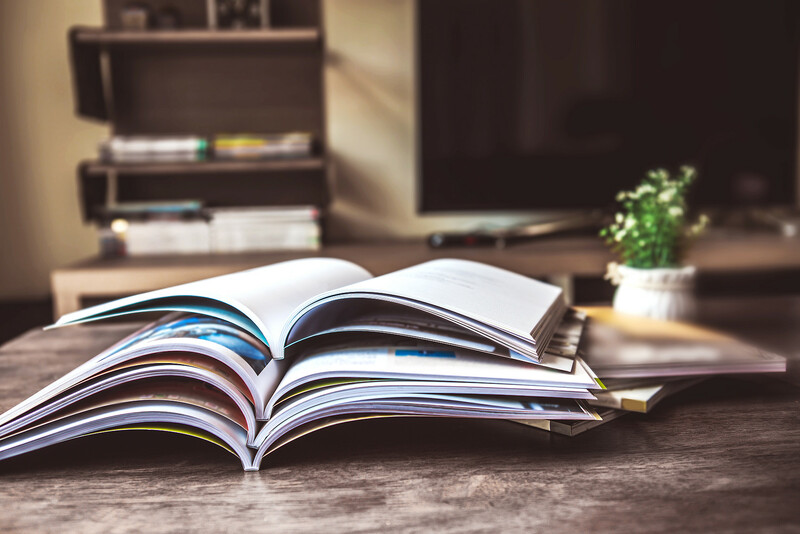 Local PDFs are protected against duplication by means of SmartShelter PDF. Any user who needs a license is given a ticket by the document’s publisher with which he can activate the license locally. This can be done either via a license portal or by a local activation assistant. The online version is stored on a cloud server. The users authenticate themselves with the server for access to the documents allowed by their licenses in CodeMeter License Central. For this purpose, Wibu-Systems Professional Services Team implemented a gateway with which the server reads the license of the users in CodeMeter License Central. The essence of the solution is the link that is created between the user’s account on the cloud-based server and the customer’s ID in CodeMeter License Central. This allows the licenses of authorized users to be used simultaneously on their offline PCs and in the cloud. The second project involves software installed on the end users’ local PCs. The license is kept by the software vendor in the cloud. This gives users the flexibility to use the software on any PC of their choosing. For this project, the CmWAN Server and a reverse proxy were used to take over identification and authentication of users. Each user is allocated a specific virtual machine with a CmWAN server. These virtual machines are running at a server farm and are created at the touch of a button. 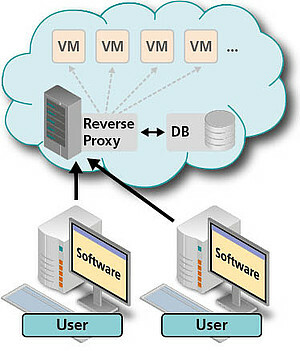 When the protected software is installed, the reverse proxy is entered in the server search list of the local client. The user name and password are also recorded and stored. When the license is accessed, the local CodeMeter Runtime automatically looks for licenses registered with the user name and password on the cloud server. The reverse proxy contains details about which users are allocated to which CmWAN servers. After successful identification and authentication, the connection to the allocated CmWAN server is reversed. From the point of view of the local application, the licenses are then used as if they were held on a CodeMeter license server in the local network. The third case has the protected software running on a local Windows PC, with a license stored in the cloud. The license can still be used when the connection to that server is lost. This project relies on CodeMeter License Central located in the cloud. The license for the user is usable for a defined period of time and is periodically updated by the software in a background process. 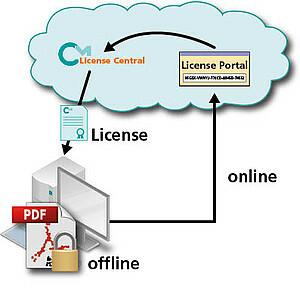 The solution accepts the limited use of the license on a second or third PC. The user is given a ticket when installing the software on the local PC. With the ticket stored on the PC, the software starts the usual activation process. Instead of activating the license in full, an additional module on CodeMeter License Central creates and activates a new temporary license. That license is valid for eight hours, but can be returned at an earlier point. After four hours, the client might begin to extend the license. A normal activation process is again started for this purpose. The additional module on the server tests whether the request comes from the same CmContainer - that is, from the same PC. In that case, an update is created and activated in the background. The license is extended for another eight hours. When the application is closed, the license is automatically returned, which tells the additional module that the license can be cleared for another temporary period on another PC. If that same license is activated on another PC while the original eight hour period is not yet over, the additional module will decide whether this is allowed. If it is, a new temporary license is created and activated on the new PC. When the first client then tries to extend the license period, the license is withdrawn, as it is already in use on the second PC. The original user will receive an error message, and the application will close. In this specific case, the additional module is set to be very tolerant and allow up to three activated PCs at any point in time. Only if the license has been used on three separate PCs in the last eight hours without being returned will the user receive an error message. The chosen parameters of eight hours for a temporary license and four hours until automatic extension can be adjusted flexibly. Similarly, the automatic return of the license upon closing the software is optional. The solution would also allow licenses for multiple days that employees can use in complete offline scenarios.